Numerous articles and advertisements in outdoor and hunting magazines are promoting the idea of planting chestnuts for wildlife. It is true that chestnuts bear heavy crops of nuts that are very attractive to a wide variety of animals. On the other hand, some of the claims aimed at deer hunters are wild exaggerations, or downright lies. Chestnuts do not make good trees for attracting deer during most deer hunting seasons. Chestnuts tend to ripen very early for a nut crop. They begin as early as late August in the Deep South and even in the North they are usually all finished up by the middle of October, well before most deer seasons. Chestnuts are very attractive to deer, but only for about one month out of the year. After that, the deer will be off looking for other food. A few late-ripening chestnuts are available as grafted trees, and while these may be useful to both deer and deer hunters in the Deep South, such trees are utterly useless in the North. Chestnuts ripen and fall early for a reason – the nuts are absolutely ruined by freezing temperatures. Once the temperature of the nut falls to 24 F, the embryo is killed. When the nut thaws, it begins to decay. At that point, even the squirrels won’t eat it. 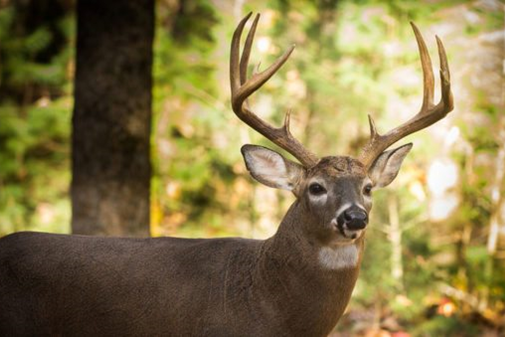 How often does your deer season start before the first hard freeze in the fall? 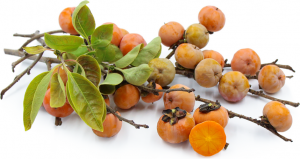 The American Persimmon is actually a much better choice for attracting deer to a property and then holding them there through the hunting season. Persimmon fruit is just as attractive to deer as chestnuts are – maybe even more so. While some persimmons ripen and drop their fruit at the same time as chestnuts, others produce a massive crop of fruit that begins dropping from the tree in November and continues all winter, right up until early spring. Freezing temperatures do not damage the fruit, and wildlife will continue to consume it all winter long. Deer are known to bed down near persimmon trees and listen for the sound of falling fruit. Hunters report deer often come running from several directions at the sound of a persimmon hitting the ground. One thing to keep in mind is that persimmons come in male and female. Normally, only female trees produce fruit, and normally only when there is a male tree in the vicinity. Another tree that is exceptionally good at attracting and holding deer is the dwarf chinkapin oak, Quercus prinoides. Most oak trees don’t begin bearing acorns until they are at least 10 to 15 years old, and then only bear a good crop once every few years. 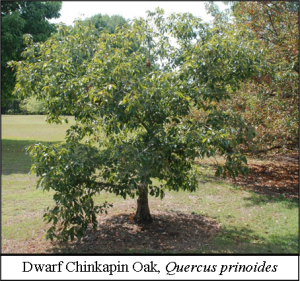 Dwarf chinkapin oaks can begin bearing as early as 3 years old, and tend to bear a heavy crop every year. Furthermore, their acorns are among the sweetest and most attractive to wildlife, of all acorns. The acorns are not damaged by freezing weather and remain palatable all winter long. The trees are broadly adaptable and will thrive just about anywhere except on poorly drained soil.